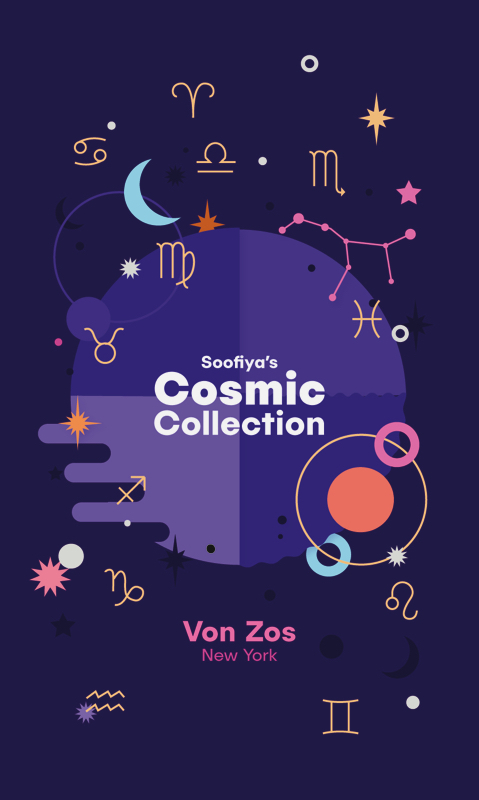 The Cosmic Collection by Soofiya. 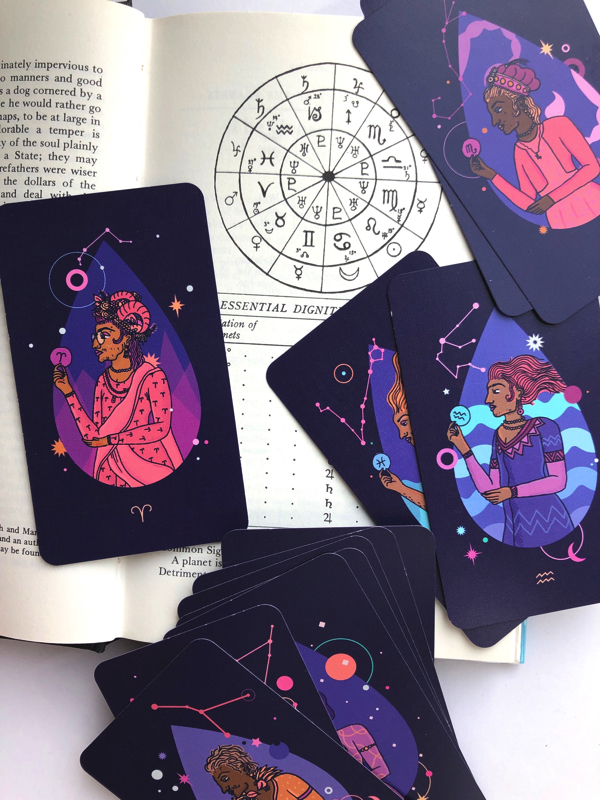 A collection of 12 astrological cards cards for use in mediative and divinatory activities. 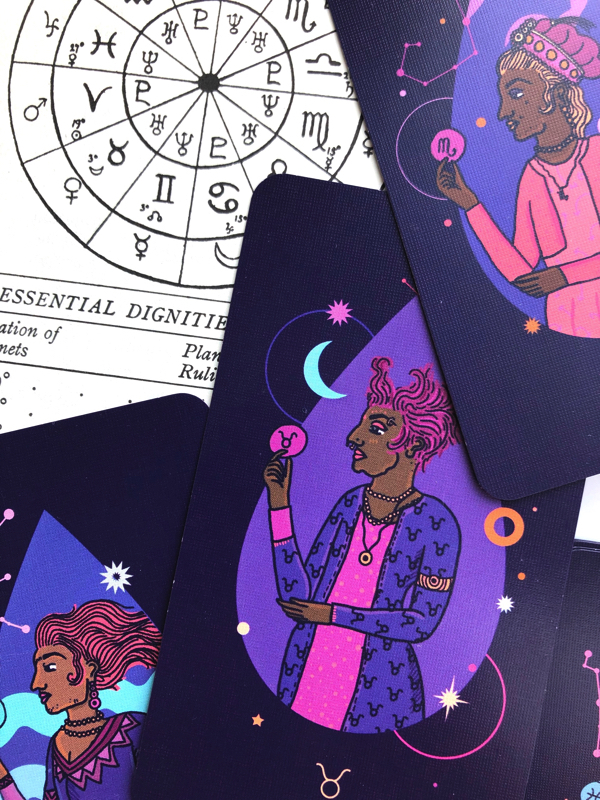 The illustrated figures on each card are an ode to brown gender non-conforming bodies and question notions of femininity and how it is able to exist in multitudes. 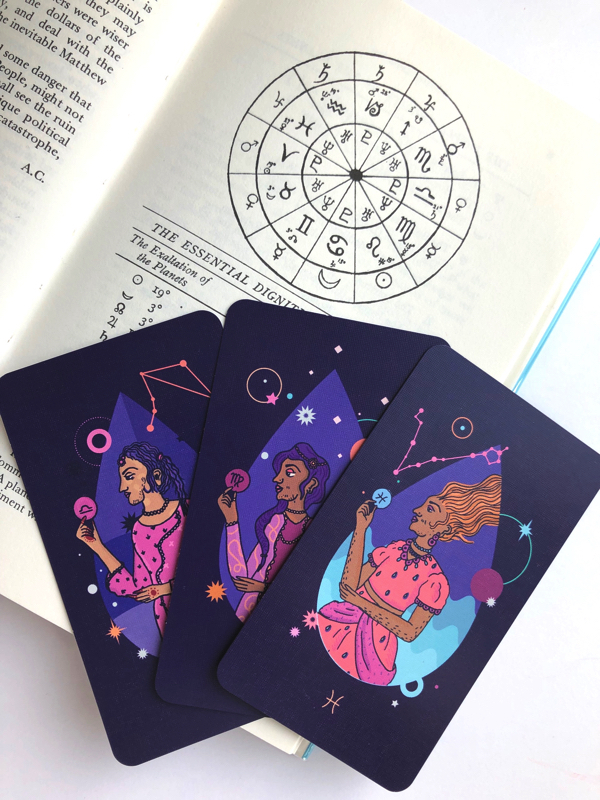 14 cards, 310gsm linen, 2.75 inches x 4.75 inches, includes commentary text by the artist.